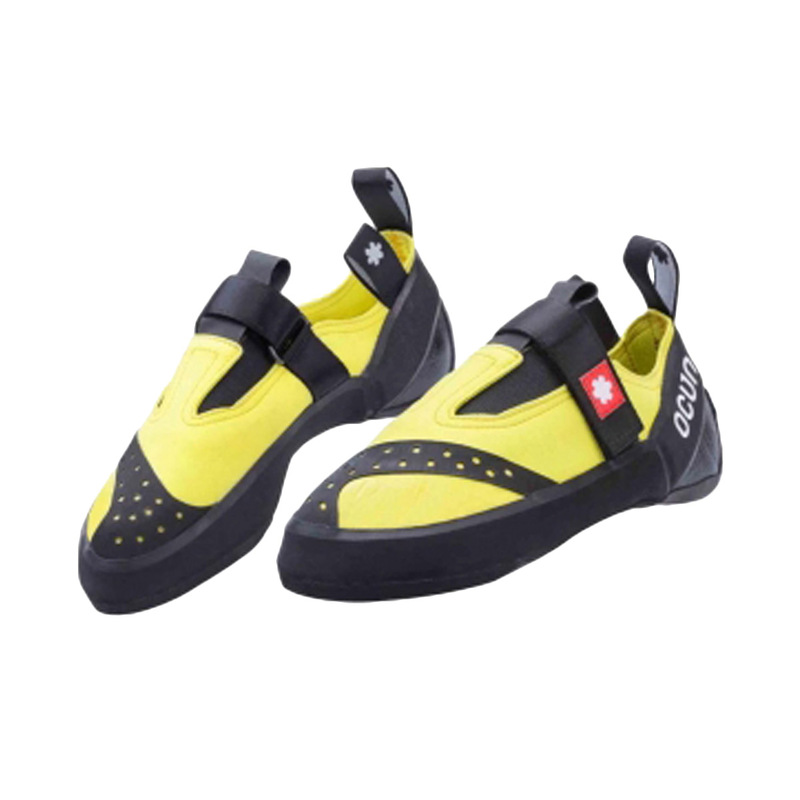 The Ocun Crest QC (Quick Closure) is a climbing shoe for beginners who want performance without the big price tag. 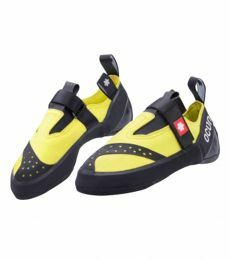 One velcro closure and the slipper-style design means these shoes are super quick and easy to put on and take off and they are super comfy for all-day climbing. The minimal asymmetry and extra rubber at the toe mean the Crest QC is really comfortable but supportive and grippy enough to see you through your first challenging climbs. Often likened to the Scarpa Force X and the Five Ten MoccAsym, it's the perfect blend of comfort and performance. Grippin Dura rubber was designed to be extremely durable for long-lasting comfortable shoes. It's a well-worked, blended compound that combines all the important components needed for impeccable grip, edging and stability on the rock. It's ideal for all-round climbing shoes and will happily do a little bit of everything.